Get as much information as you can about the market to make sure that buy-to-let is for you. If you know someone who has done it or is doing it then ask them about their experiences and see if they are willing to dispense any advice. Remember that buying-to-let property is a business decision and therefore must be carefully planned before any investment is made. Consult local letting agents; they will be able to tell you the kind of properties that are in demand and in which areas. The better the area in which you can afford to buy, the less likely you are to be left tenantless and the better investment the property will be. Think about access to good schools, local amenities, transport links, shops, restaurants, bars and don’t forget parking. Maybe you live in a university town and wish to target the student market. If you are buying locally you should already have a good idea about where you want to buy. They will also be able to tell you about how much rent you can realistically charge. Compare how much you will be paying for the property with how much you can expect to get in rent. Traditionally, buy to let investors want to cover 125%-150% of their mortgage payments, as well as putting down a 15%-20% deposit as an insurance against the possibility of a fall in house prices. You also need to ask yourself, could I afford for the property to sit empty for a month or two? If the answer to this question is no, then its time to have a serious rethink. Although you’re free to take out a mortgage in the usual way, most investors prefer to use special buy-to-let mortgages. The reason for this is that the lender will not just take into account your salary, but also any rental income that you will earn on the property. Consequently, you will be able to borrow more. This is especially useful if you already have a mortgage on your own home. In general the amount that the buy-to-let lender is willing to lend will be restricted to about 80-85% of the property price and they will tend to charge slightly more interest. This is because the investment is seen as slightly more of a risk to the lender than a regular mortgage. The kind of property that you buy and the way in which you will finish it will depend heavily on the sort of people you intend to rent it out to. Think carefully about the locations in which you are looking to buy and think about who is most likely to live there and then target your market accordingly. For example if you are going to rent to students the property should be clean and comfortable but furnishings should not be luxurious and easily replaceable. Young professionals will require something more modern and stylish whereas a family will need a blank canvas. Once again, a local letting agent would be able to advise you on how to cater for the different markets. We’ve read so much in recent years about these big-shot buy-to-let property millionaires. The days of silly property price rises have gone so you need to be more realistic and invest for income rather than short-term capital growth. Once mortgage costs and tax are taken into account there will not be a great deal left over, and some of this will have to be ploughed straight back into the investment for property maintenance. You should however be looking to raise the rental cost over time so that you can save up enough money for a deposit on your next property. In this way you will be able to build up a portfolio in the long term. 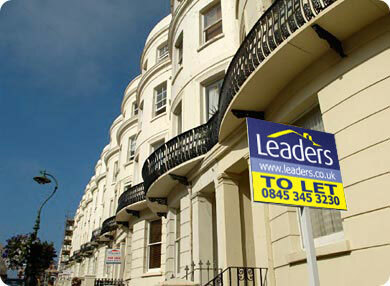 Most landlords want to buy their property locally so that they can keep an eye on it. That’s great if the smart investments are on your doorstep, but if you’re going to employ an agency to look after it anyway, why not look further afield. There may be better investments to be had elsewhere with better commuter links, better schools and large universities. If you are buying a property in order to rent it out, it is unlikely that you will be trying to sell your own home. As such you will have the power to negotiate a discount because you offer the opportunity of a quick and smooth sale. This is especially true if you already have an agreement in principle with a mortgage lender.